So..my all time FAVORITE place in the United States is hands down California. I love Los Angeles (specifically the West Hollywood/Beverly Hills area) and would live there in a heartbeat if it wasn’t for the traffic and cost of living. So just a dream…but traveling there is seriously my happy place! I’ve been to LA several times and I honestly think that city was made for just me. Hey y’all! We just got back from another fun weekend in Fredericksburg! I love going to Fredericksburg for a quick weekend getaway from Austin because it is always so relaxing and easy to get to! If you haven’t been to Fredericksburg in a while it is really growing like crazy! There are so many wineries, cute vacation rentals, and restaurants! I get so many questions about where we like to go, where we stay and what we do there! So I wanted to share our recommendations with you guys here! San Diego is one of my favorite places in California! It will also always hold a special place in my heart because its where Eric and I got engaged! So, I wanted to share my San Diego Travel Guide with you guys! On this trip we rented a convertible and drove up the coast to LA after visiting San Diego for a few days! It was so fun! 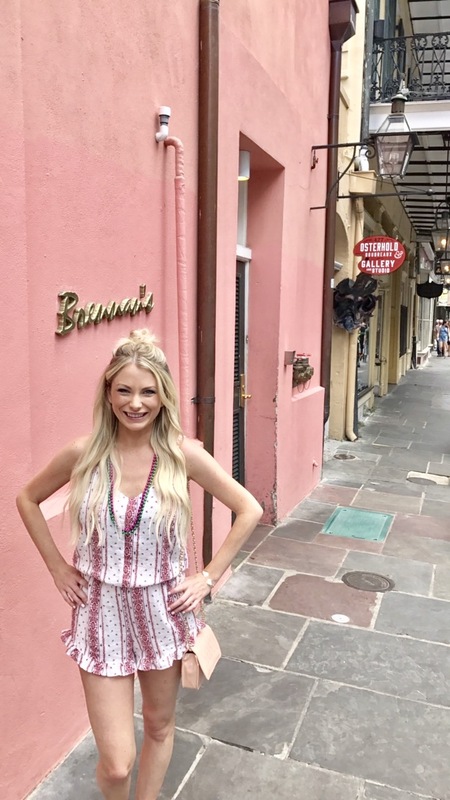 New Orleans is one of my favorite cities! I've been 3 times now and it just gets better every time. I love the old, southern charm and the food is to DIE for. I feel like it gets a bad rep because of the infamous (dirty) Bourbon Street...but thats just because you need to get OFF Bourbon! Okay, go to a couple bars to say you did it if it's your first time and then follow this guide for all the best restaurants, bars, and things to do!